Free-to-play mobile games under the EA Sports banner have generated more than $1 billion in lifetime revenue, according to mobile data firm Sensor Tower. The estimates come from the performance of titles in the Madden, FIFA, NBA Live and UFC franchises on the App Store and Google Play. The figure only includes self-published games, not those from partnerships outside of the US. 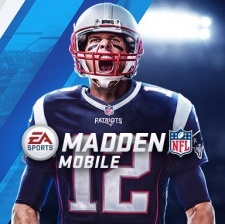 Sensor Tower estimates nearly half - 49 per cent ($490m) - of EA sports mobile revenue has come from the Madden NFL franchise. In 2018 alone, Madden NFL Overdrive Football grossed $100 million worldwide. FIFA Soccer and FIFA 15 Soccer Ultimate sales were said to account for 36 per cent ($360 million), while NBA Live Mobile Basketball made up 14 per cent ($140m). The US homes that biggest spenders in EA Sports mobile titles, making up 62 per cent ($620m) of revenue. It was followed by Great Britain (5.7 per cent) and Japan (5.4 per cent).